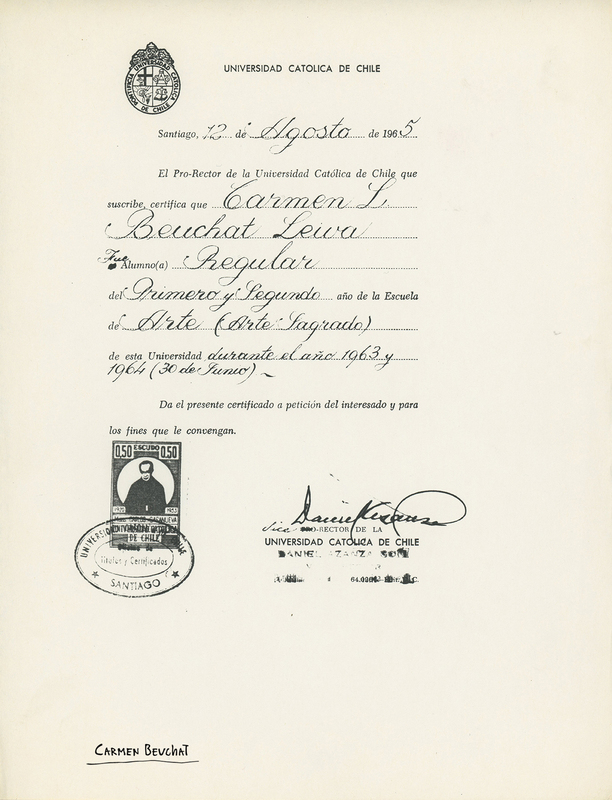 Photocopy of Carmen Beuchat´s student certificate given by the Universidad Catolica de Chile on august 12, 1965. She was a student of first and second year at the Art School(SacredArt) betwen 1963 and 1964. Physical Description: Photocopies 21 x 28 cm.